The UCI confirmed Monday that Jarlinson Pantano had been provisionally suspended for an adverse analytical finding from a February 26 anti-doping control, which showed the presence of Erythropoietin (EPO). The February test was performed out of competition. Prior to that, he had raced Tour du Haut Var in France February 22-24. Since then, he finished Paris-Nice and did not finish Volta a Catalunya. It is with deep disappointment that we have just learned that our rider, Jarlinson Pantano, has been notified of an adverse analytical finding in a sample collected during an out of competition control carried out by the Cycling Antidoping Foundation. In accordance with our zero-tolerance policy, he has been suspended immediately. We hold our riders and staff to the highest ethical standards and will act and communicate accordingly as more details become available. Although Pantano, 30, has no results to speak of in 2019, he is a stage winner at the Tour de France, Volta a Catalunya, and the Tour de Suisse. He also won Colombia’s national time trial championships in 2017. 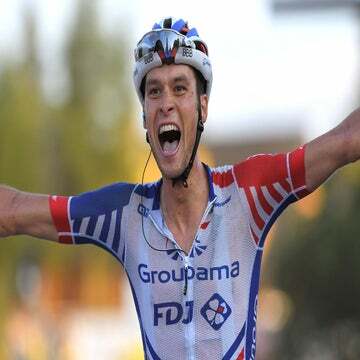 Pantano may request to have his B sample tested, per World Anti-Doping Agency rules.